Methods:Interface pressure was measured on the distal leg of 20 volunteers, with the superabsorber and with a multilayer compression bandage. 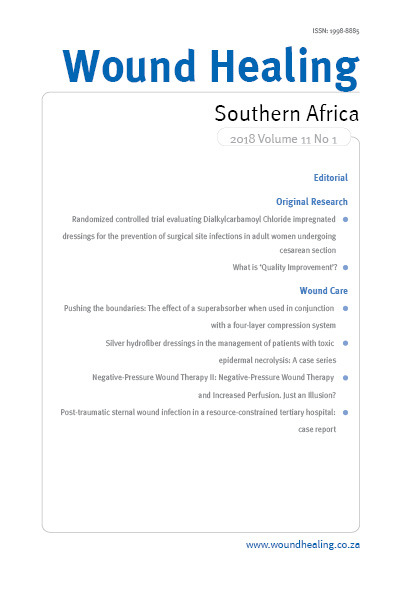 By submitting manuscripts to WHSA, authors of original articles are assigning copyright to Medpharm Publications (Pty) Ltd. Authors may use their own work after publication without written permission, provided they acknowledge the original source. Individuals and academic institutions may freely copy and distribute articles published in WHSA for educational and research purposes without obtaining permission.